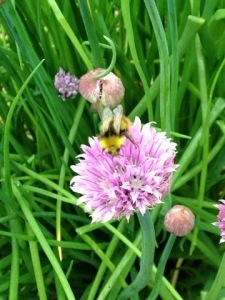 I was looking at my chive plant thinking how lovely it was, when I notice this honey bee collecting pollen. He very kindly sat whilst I took a photo of him. 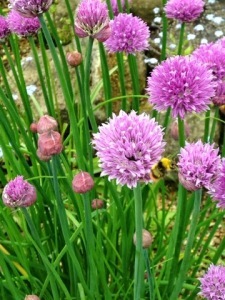 I didn’t buy it for the chives but because chive plants are just so pretty. I suppose the fact that it is edible is a bonus.